A capon is a castrated (neutered) male chicken. The meat of a capon has been a delicacy in every culture from Ancient Rome to modern day China and certain parts of France for many centuries. 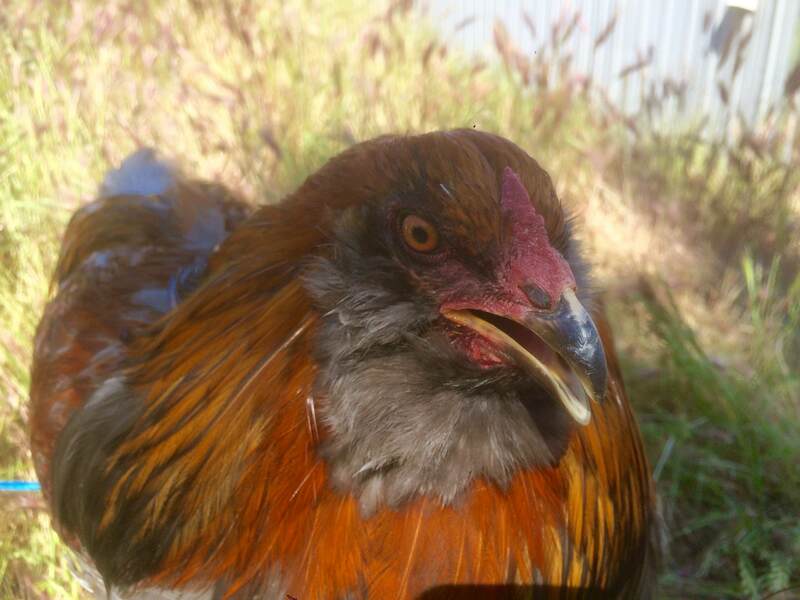 Caponization is a surgical procedure performed on a young cockerel, and although it is rare in the Western world in this era, new potential is being seen in it as a process to create wonderful pets for backyard keepers. A capon does not mount hens, fight with other males (intact or caponized), or behave aggressively. Most importantly of all, they rarely - if ever - crow, making them a wonderful addition to any yard. 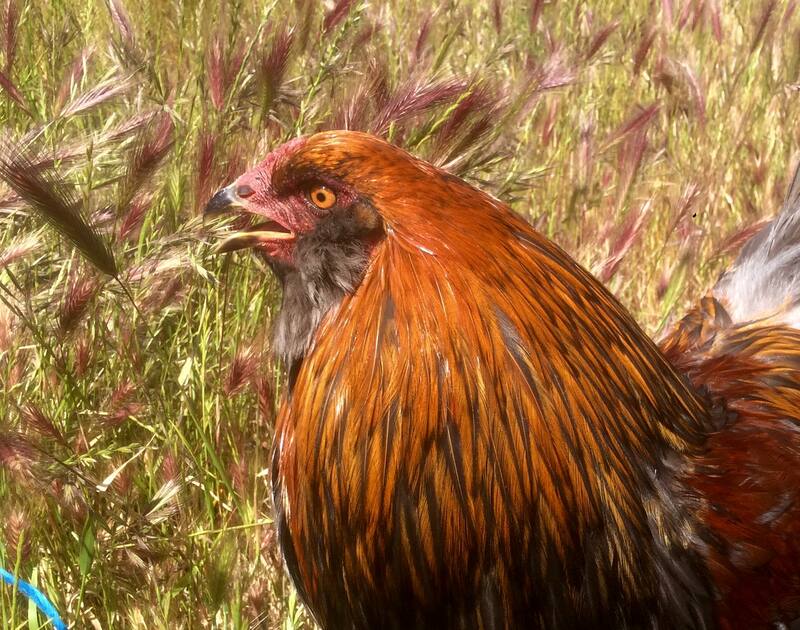 They nonetheless retain their beautiful feathering and mature to a larger size than any intact rooster. In the interest of providing beautiful and quiet pets to country and city homes alike, we at The Poultry Palace have had this procedure performed on a small handful of young males excess from our female stock. In order to ensure the capons were castrated correctly - as the surgery can sometimes fail, producing a bird with a combination of capon and cockerel characteristics known as a 'slip' - we raise them to approximately ten months to one year of age, to ensure they are non-aggressive, quiet, and healthy. Capons are some of our more expensive poultry, since we must raise them to at least ten months of age to ensure they are correctly caponized. Depending on breed, they will vary from $75-$150 each. All capons pictured below are available now! Emmett is a very beautiful red and blue Easter Egger capon. 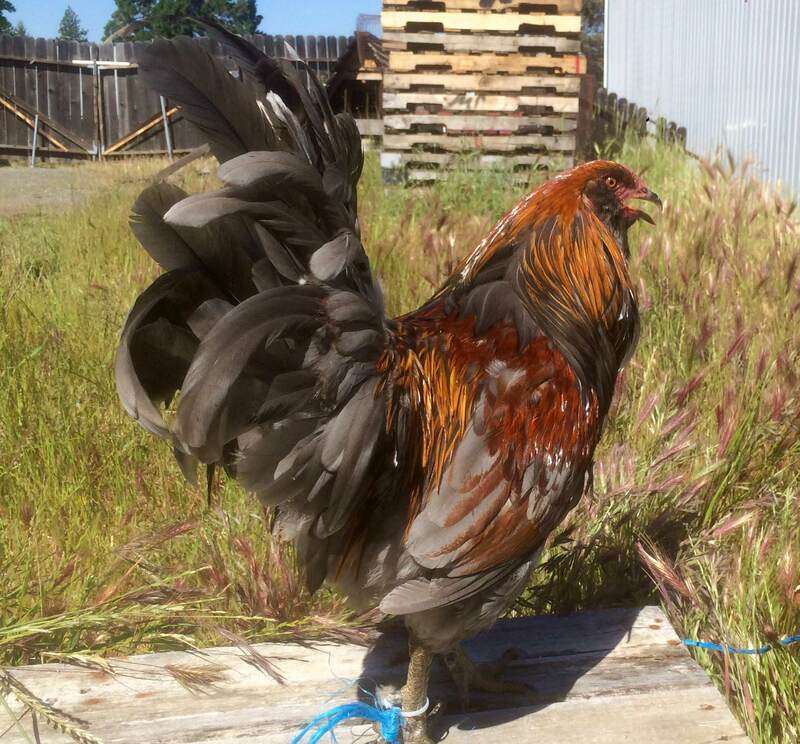 He is a bit skittish, but will be a stunning addition to your flock. He is one of our smaller capons - a real affordable light eater with equal beauty as his larger brothers!